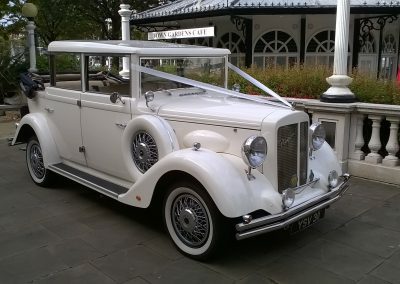 This stunning vintage 1920s style wedding car, seating up to six people, will make your dream wedding come true. 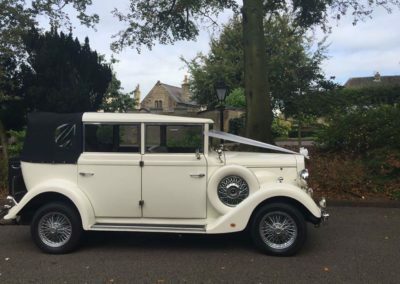 The Regent wedding car has a convertible roof, traditional walk boards and a spare wheel on each side which adds extra character to an already beautiful car. 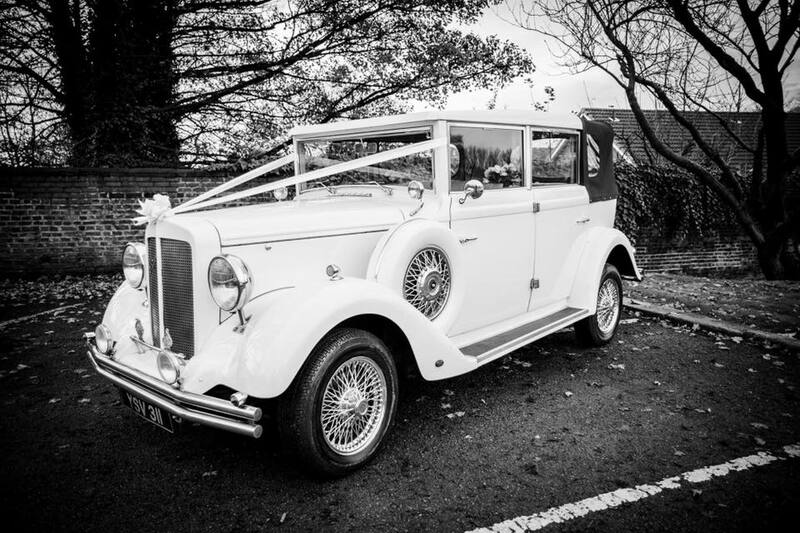 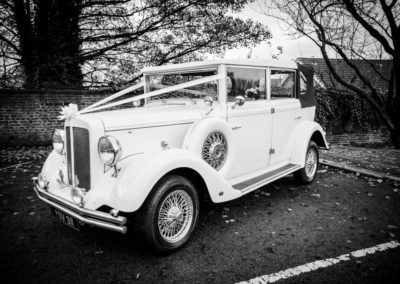 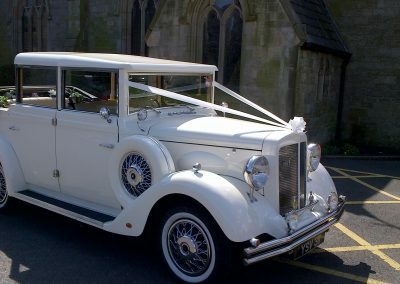 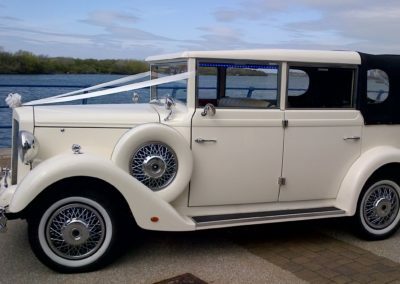 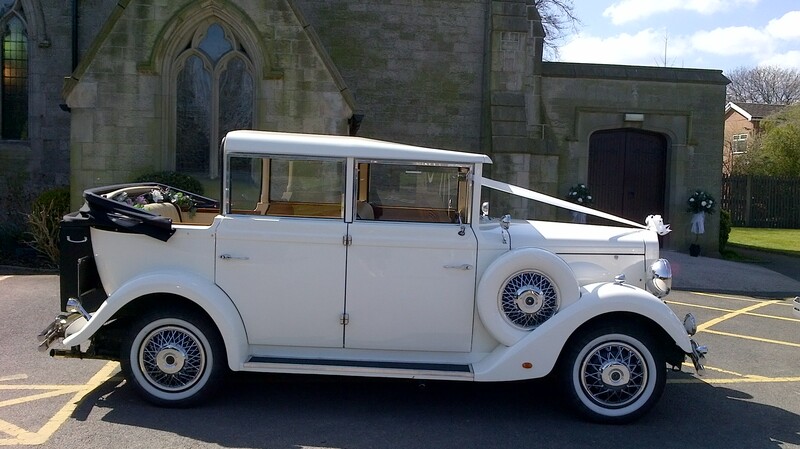 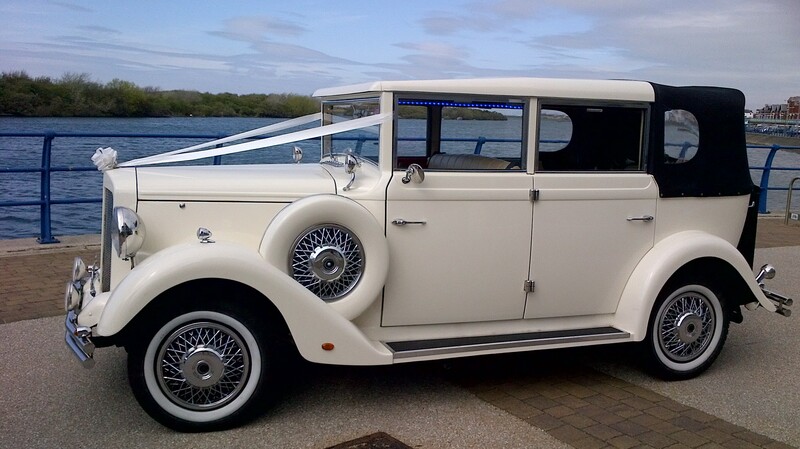 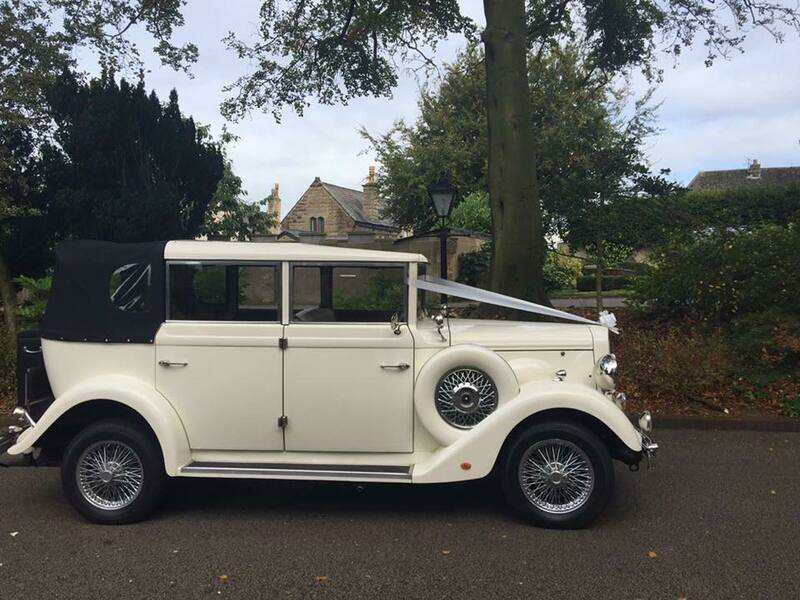 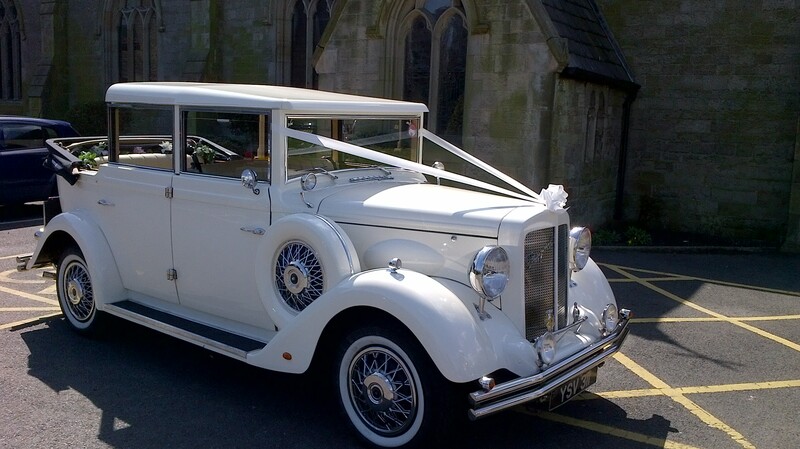 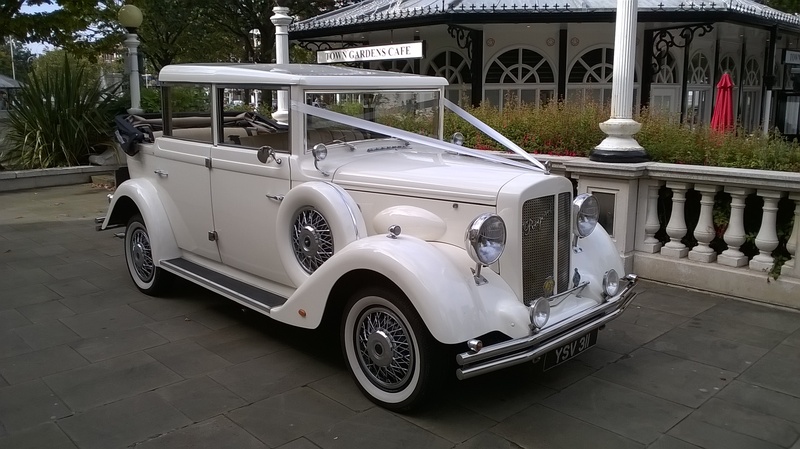 Similar to the Beauford but with a much larger interior, this wedding car is finished in Old English White, with cream leather interior and folding rear hood. Although it is much bigger than the Beauford, one element which remains is its elegance and charm. 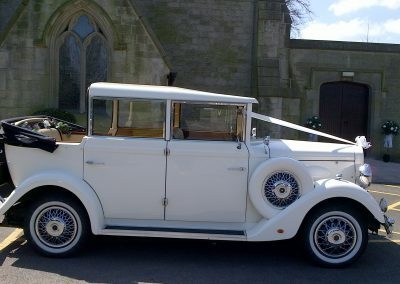 This car is perfect as your lead car or following as your second car as it matches perfectly with almost all our fleet. 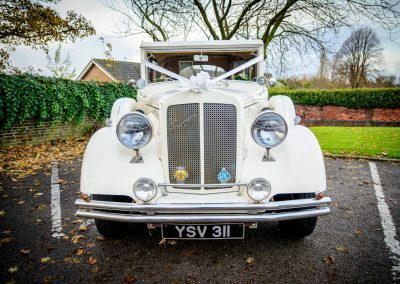 It is a very photogenic car that always turns heads.